Our consulting division builds on Argus’ key strengths – commodity markets expertise, international networks and trusted data – to help our clients realise opportunities. The global team works with corporates, lenders and investors, governments and regulatory bodies as well as professional service firms, offering tailor-made research to those seeking the highest quality market and technical insight, analysis and commentary. The consulting team is responsible for global fundamentals data and analytical tools, strategy reports and forward-looking price outlooks and leverages these in bespoke projects for clients. The team maintains extensive data on market fundamentals for crude, products, petrochemicals, fertilizers, and metals. These are used as the basis for supply, demand, and price forecasts across all regions. For clients either seeking to improve current operations or undertake a new activity, we assist by determining the optimal way to supply a market or source product as well as assessing the competitiveness of the various options available. Argus assists banks, other lenders and corporate clients by providing insight into potential investments. Typical features of this work include potential supply sources, markets and prices for new products, logistics requirements and customer screening. We work with a range of clients to help them understand their strategic options, whether that is new markets to enter, changing product mix or reconfiguring assets. Our insight into how markets function and may develop is crucial to answering these questions. This services involves exclusive interaction with our consulting team, who are experts and leaders with decades of industry experience. Bespoke training courses are designed to build client understanding of the commodity markets, from beginners knowledge to senior-level guidance. Our consulting team produces reports analysing long-term market developments, which typically include supply, demand, trade, and pricing for a number of different commodities. Forward curves are also available as well as analytical tools to interpret data and support planning and investment decisions. See the tools available for your market. Using proprietary databases covering market fundamentals, historical prices and other relevant aspects, Argus’ consulting team produces a series of short to medium-term price forecasts for numerous commodities in markets around the globe. Published monthly, these outlooks typically include a price forecast for the coming 12-24 months as well as forward looking analysis of global supply, demand and trade developments. Select your market to review the products available. We are experts in crude oil valuations, netbacks and price forecasting. Our team has been involved with projects looking at crude storage, transportation and refining. We maintain extensive proprietary databases on refineries, fundamentals and historic data that enable us to meet the many needs of our clients. Much of our work focuses on how changes in the market – refining capacity or regulation – will impact supply/demand balances, trade flows and logistics requirements. Argus Consulting Services is a leading provider of information and insight to the LPG industry. We offer data and analytical services and have significant experience with a wide range of clients – from financial institutions, producers, terminal and storage operators to downstream businesses. Our services include tailor-made research projects, as well as a full range of strategy reports and monthly and quarterly outlooks, focusing on commodity nutrients from ammonia and urea, through rock and processed phosphates, potash and NPKs. We also publish reports on speciality fertilizers, such as micronutrients, water soluble and enhanced efficiency fertilizers. This allows us to provide a complete industry intelligence service to the fertilizer sector. Argus Consulting Services offers data and analytics services relating to supply, demand and trade fundamentals and pricing for a range of petrochemicals including ethylene, propylene, butadiene, benzene, toluene, xylenes, hydrocarbon resins, methanol, MTBE and their derivatives. We also provide bespoke consulting projects for companies involved in petrochemical markets across the different petrochemical value chains. Argus Consulting Services produces short and long-term price outlooks for rare earths, tungsten and battery materials, as well as tailor-made studies for companies covering a broad range of topics from market fundamentals through price forecasting to technology assessment. We have conducted many projects to support investment and planning decisions in the biomass and biofuels sectors. We closely monitor the regulations shaping the markets across the globe to guide our long-term industry forecasts. Argus’ deep knowledge and understanding of how markets move and trade products are of particular value to midstream and freight companies. We help clients understand logistical constraints and opportunities, and how these impact product flows and prices. Argus Consulting Services has carried out work across the coal production, transportation and distribution chain. We produce a monthly coal price forecast service and a long-term petroleum coke outlook focused on supply and demand fundamentals. We have completed a range of projects on natural gas and LNG, including a number of studies that focused on small-scale developments in bunkering and power generation. We analyse power markets across the world, and provide information on fossil fuel-fired generation as well as the growing renewables sector. Argus Consulting Services provides bespoke research and analysis for clients in emissions trading and related environmental markets. Client request: The client — a consortium of companies — was considering developing a new greenfield refinery and related petrochemical complex in north Africa. The purpose of the investment was to create an asset that would deliver attractive export revenue streams from petrochemical and refined products. Our solution: Argus Consulting Services was commissioned to work with the client’s technical consultant to present a range of configuration options with the highest net present value over the lifetime of the project. The work included generating pricing cases across the full range of refined and petrochemical products, analysis of pricing sensitivities and identification of market opportunities. Client request: A major European bank, acting as the lead for a consortium of lenders, required a market study for global fertilizers to form part of the due diligence process. The consortium was providing finance to a junior mining company looking to develop fertilizer deposits in Europe. Our solution: Argus Consulting Services produced a report that provided an overview of the global fertilizer market and reviewed the marketing strategy of the mining company. This included in-depth analysis of the most promising markets and estimated netbacks for the mining company. Client request: A Middle East refinery was developing a strategy to move its downstream operations to a more commercial and profit-focused basis. It had identified the option to sell equity to an international downstream player and was preparing a detailed technical and economic evaluation of its assets and operations. Our solution: Argus Consulting Services was asked to develop a detailed view of the forward business environment across a wide range of refined and petrochemical products, develop price forecasts for both feedstock input and product output, and advise on future strategic options, including potential incremental investment opportunities. Client request: An international operator of petroleum storage requested assistance in identifying new opportunities to expand throughput at two of its terminals in northwest Europe. While one of the client’s terminals was used as contango storage, leading to periods of low utilisation, the other was under threat because of changes in trade flows from the Baltic. Our solution: Argus Consulting Services assessed existing product flows and identified new trade routes that could be served in order to create a more robust business model. The impact of Russia’s refinery upgrade programme and demand for product along competing routes, through Asia or the Black Sea for example, were critical to the client’s operating conditions. The work required a review of a number of refined products and feedstocks that were being stored or that could be stored in future, including crude, condensate, vacuum gasoil, fuel oil, gasoline, gasoil and naphtha. Client request: A client needed to understand fully the current and future Renewable Volume Obligation (RVO) related markets in the US and their drivers, develop price forecasts and summarise market-related threats and opportunities. Our solution: Argus Consulting Services analysed historical fundamentals to present evidence that the costs of refiner obligations under the US Renewable Fuel Standard (RFS) were expressed in the prices of refiners’ on-road products. The research showed correlating evidence that the refinery included RVO costs — derived from Renewable Identification Numbers (RINs) prices — in their trading practices and gasoline and diesel prices. Client request: A government agency providing oil companies with financial and technical assistance required weekly, monthly and periodic consultation and reporting on the LPG markets. Our solution: Argus Consulting Services prepared reports covering numerous aspects of the market, including a summary of major price indexes, extensive reference charts of shipping costs, analysis of arbitrage opportunities and details of forward markets and their influence on physical LPG trading. An assessment of the price relationship between LPG and competing petrochemical feedstocks in the key regions was also provided. Learn more about our consultants around the world and view their sector credentials. 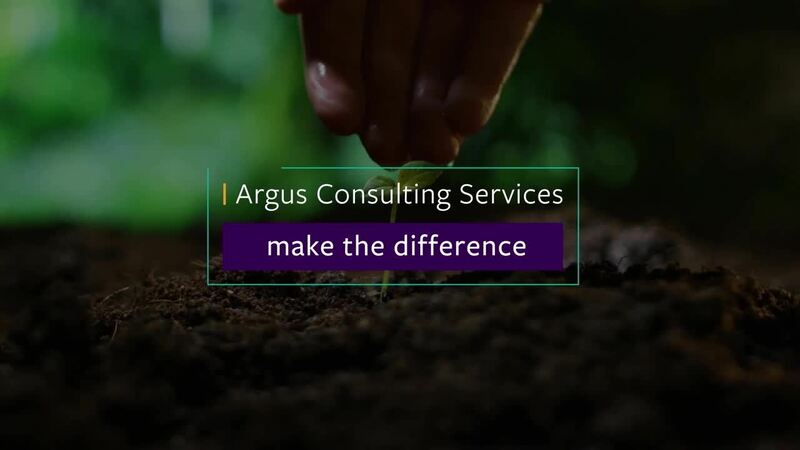 Argus Consulting Services turns insights into opportunities. Meet the individuals who can provide you with tailor-made research.